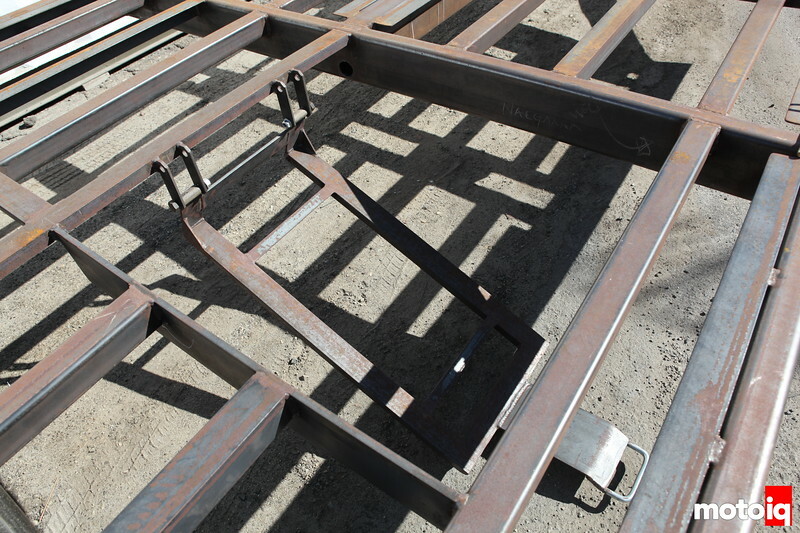 When we last left off, our Project Trailer was just starting to take shape with the main layout of the framework in place. 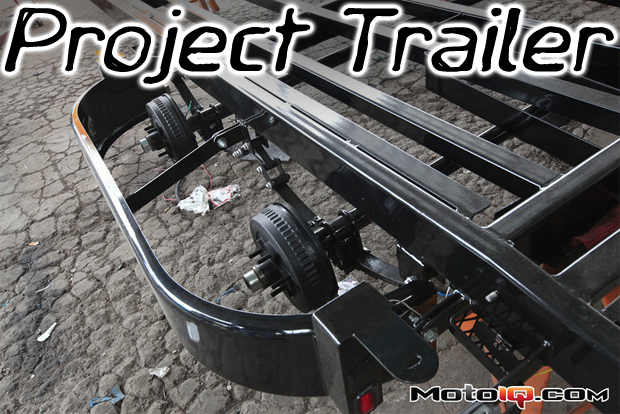 As the project progresses, Shadow Trailers is continuing to add features to make our trailer more convenient for us to use. 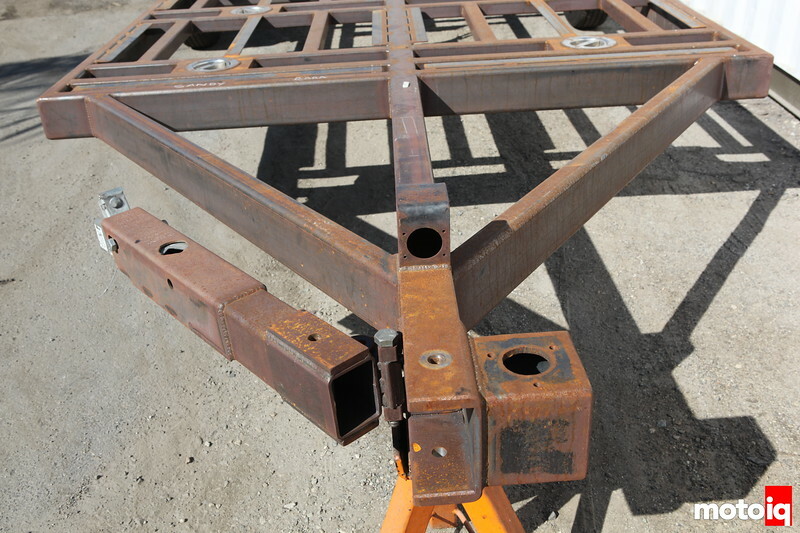 Check it out as our super single car hauler comes together. Read about part one here! 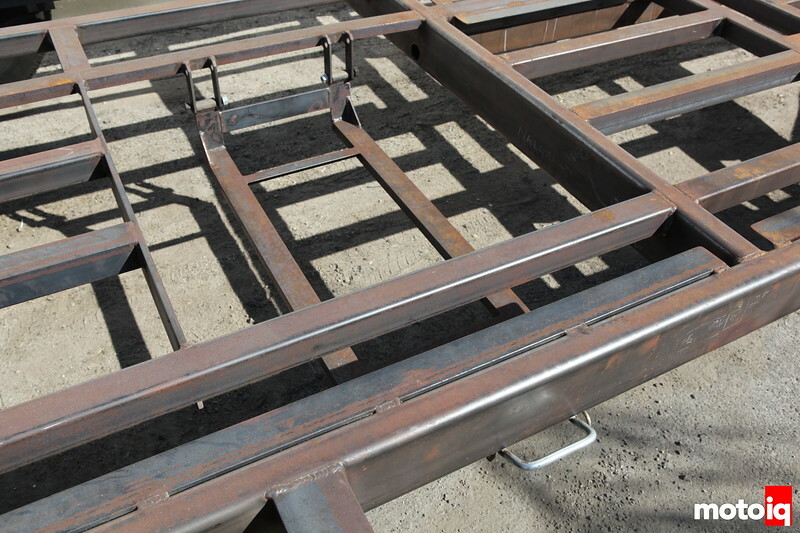 Our trailer is all framed out and ready for sandblasting and powdercoating. 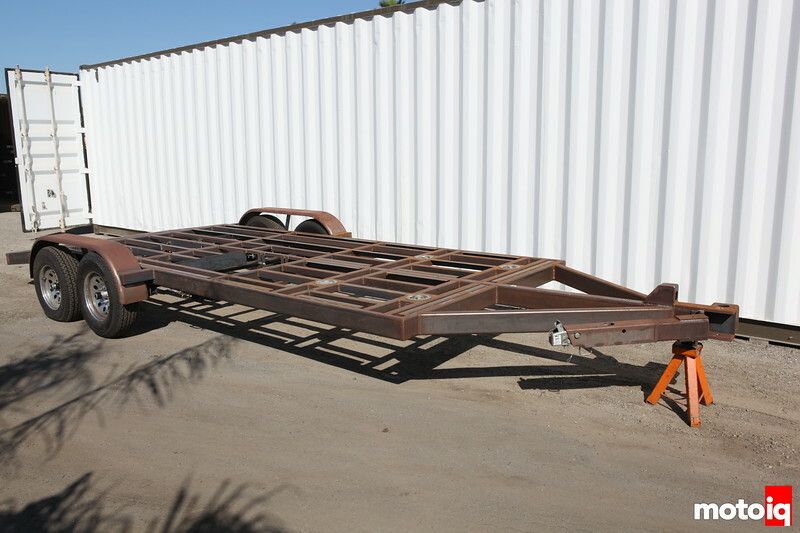 If you have a boat or jet ski trailer that goes in salt water, Shadow Trailers can zinc plate your trailer under the powdercoat. We didn't pop for that because powdercoat is 10x better than your typical trailer paint to begin with! In the next step, Shadow will add our aluminum decking and other features! Details of our completed folding tongue. This makes the trailer shorter to ease storage and when you lock it in the folded position it is way harder to steal. We will have an electric trailer jack to make things a lot easier when hooking up and loading. Fiddling with ramps and jacks are what makes towing painful and we plan on making this as easy and fast as possible. Our under deck spare tire rack is secure and super easy to use. It is also super clean. The rack locks up and comes down easily, the tire slides right out.